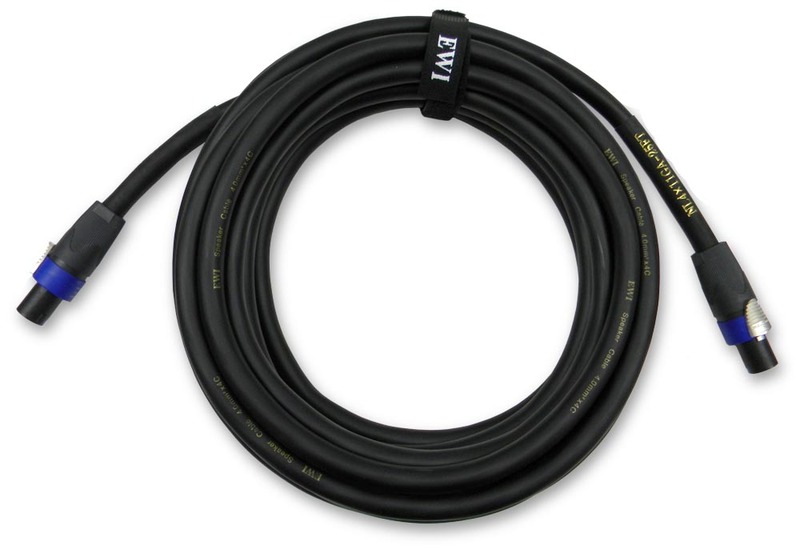 The EWI NL411GA speaker cable is a professional grade speaker cable constructed for Bi-amp speaker connection applications. The cable is EWI NNT 1104 11ga. x 4 conductor fine stranded, extremely high purity copper speaker cable. 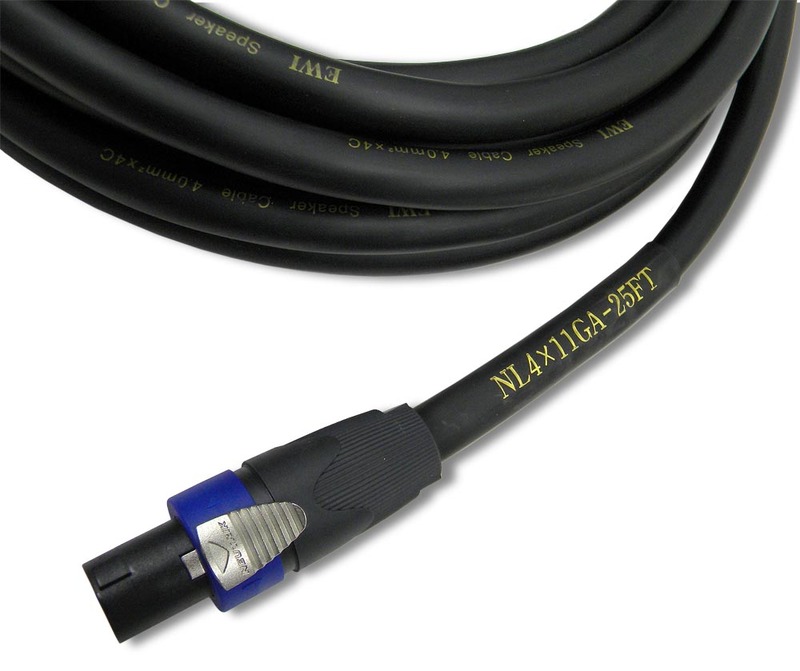 Each end is labeled with printed shrink tube as to the type of cable and length. Included with each speaker cable is a Velcro Tie Strap for storage of the cable. EWI NNT 1104 11ga. x 4 conductor cable. Professional grade Bi-amped Amplifier to Loudspeaker connection. NL411GA-5: 5 ft, 1.25 lbs. NL411GA-20: 20 ft, 4.15 lbs. NL411GA-25: 25 ft, 5.40 lbs. NL411GA-30: 30 ft, 6.50 lbs. NL411GA-50: 50 ft, 11.00 lbs.